In the course of my career I have written four academic technical manuals intended for readers who wish to begin learning the various techniques used for working with glass. 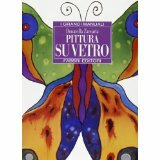 The books are also available in the following languages: English, Spanish, French, Turkish and Russian. 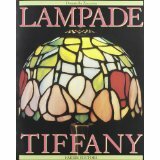 The manual describes the technical realization of Tiffany lamps, from simple to the more elaborate, but all united by a surprising sophistication. An expert will guide you in the choice and use of materials, in different phases of execution, step by step with beautiful color images. This document proposes a series of lamps for different styles and materials, but all united by a surprising sophistication. 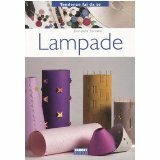 A comprehensive introduction provides information on how to build a power plant and connect lampadine.Lampade paper, cloth, glass, metal and other materials. This book introduces us to the magical world of glass to the rediscovery of an ancient art and fine playing with light and color. Ideas and projects, illustrated step by step, to be implemented with the help of an expert: stained glass, Tiffany lamps, panels, mirrors, boxes and small household items. 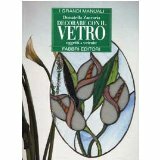 A comprehensive manual dedicated to the cold painting on glass, a technique new, different, more simple than the traditional and affordable for everyone: from the equipment, the materials, the construction phases illustrated step by step with a rich collection of images. I Grandi Manuali Fabbri Editori, 1998.